How dangerous are psychiatric medications when they’re prescribed for dementia patients in nursing homes? According to a recent article in Modern Healthcare, the benefits of the long-term use of psych meds when they’re prescribed for the disorders for which they’re designed—would “need to be colossal to counter known harms associated with their use.” And while the off-label use of antipsychotics to treat dementia symptoms appears to have declined, it remains a significant problem in Southern California and throughout the country. Researchers across the globe are speaking out about the dangers of antipsychotic drugs. To be sure, a debate about their efficacy and long-term effects recently sprung up on the website for the journal of the British Medical Association. 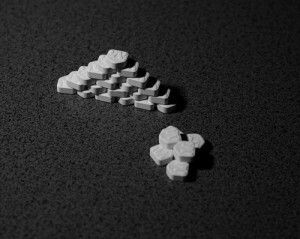 According to Dr. Peter Gøtzsche, who serves as the director of the Nordic Cochrane Center, the lack of benefit from these medications, particularly when they’re used in an off-label manner, means that “we could stop almost all psychotropic drugs without causing harm.” For even when they’re used to provide short-term relief, he emphasized, they pose serious long-term harms. To be clear, antipsychotic drugs weren’t designed to treat or manage symptoms linked to Alzheimer’s disease and other forms of dementia. When the drugs are prescribed for reasons other than those approved by the FDA, we describe this situation as “off-label” use. In other words, even when older adults are living at home with caregivers, the off-label use of antipsychotic drugs to manage dementia symptoms continue to be a problem. And in 2012, the Medicare prescription drug program ended up paying around $363 million for antipsychotic drugs prescribed for elderly dementia patients. Do you have concerns about your elderly loved one’s care in a San Diego nursing home or assisted living facility? An experienced San Diego elder abuse attorney can answer your questions today. Elder Abuse or Medical Malpractice?